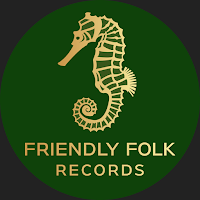 We are excited to announce the second Greenrose Faire digital release (Single) via Friendly Folk Records.... just in time for everyone to learn the song before the band arrives in Netherlands for their return to the kingdom of Elfia Fantasy Festival in Haarzuilens, Netherlands. Coincidentally, the theme this year at Elfia is: 'you'll never dream alone'. We love coincidences. 😊Download the music on your favorite digital platform HERE! And the beautiful lyrics are posted below.